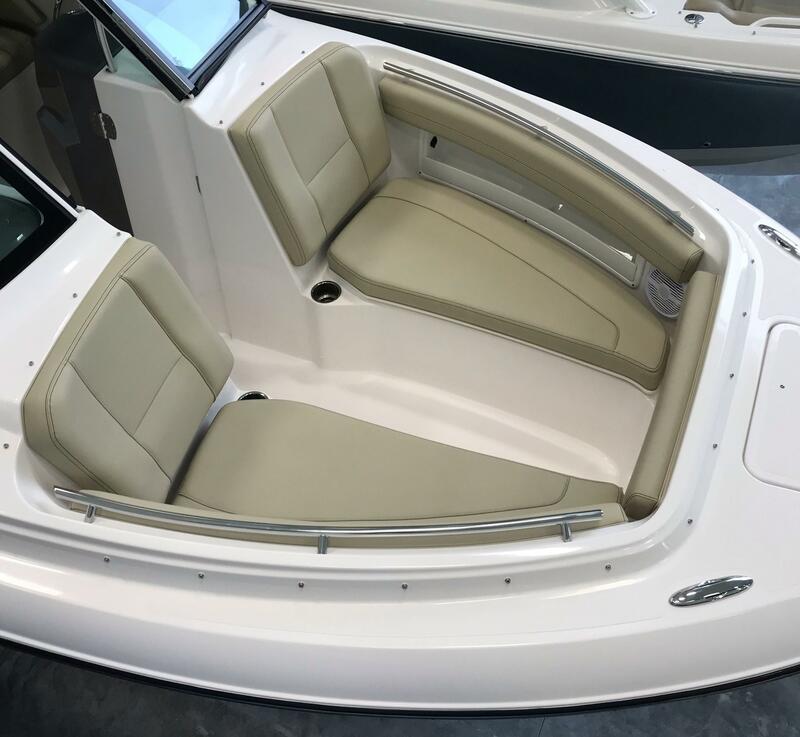 New Model w/o Hard Top- Only one left! 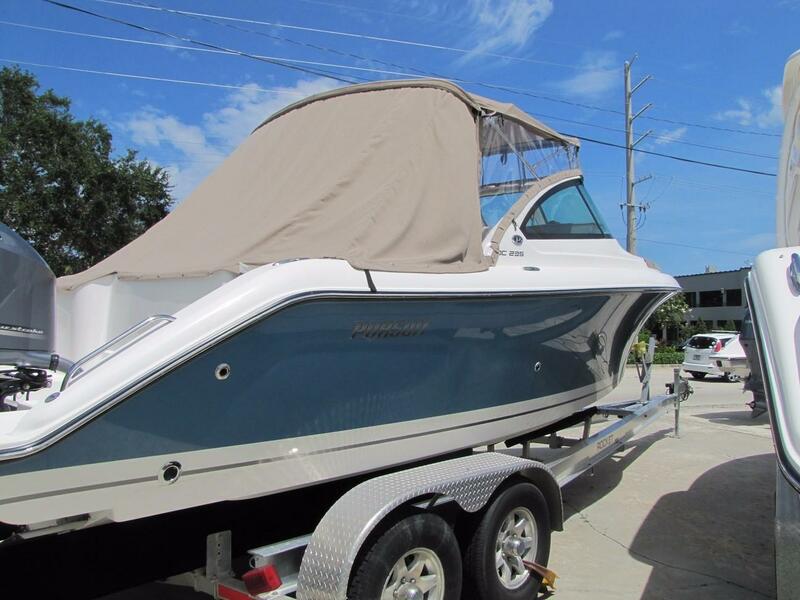 Best Price on Market! 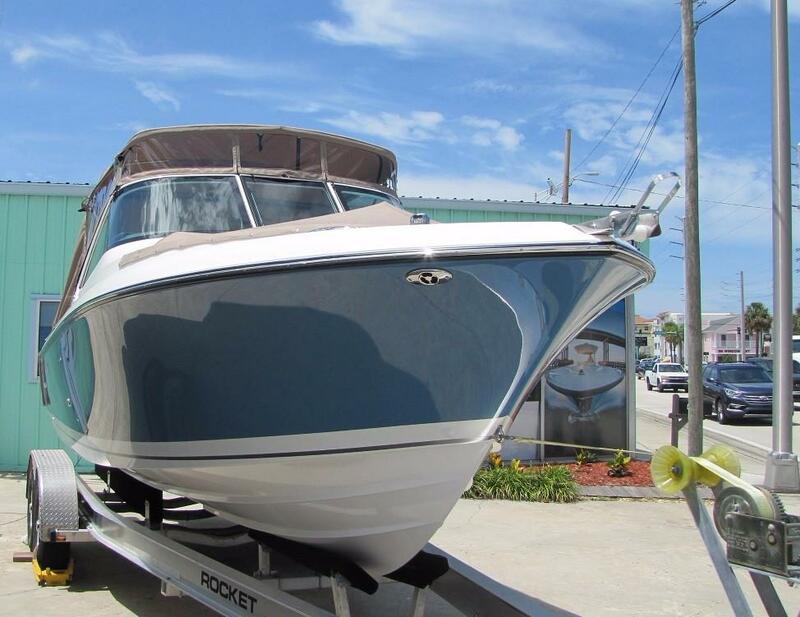 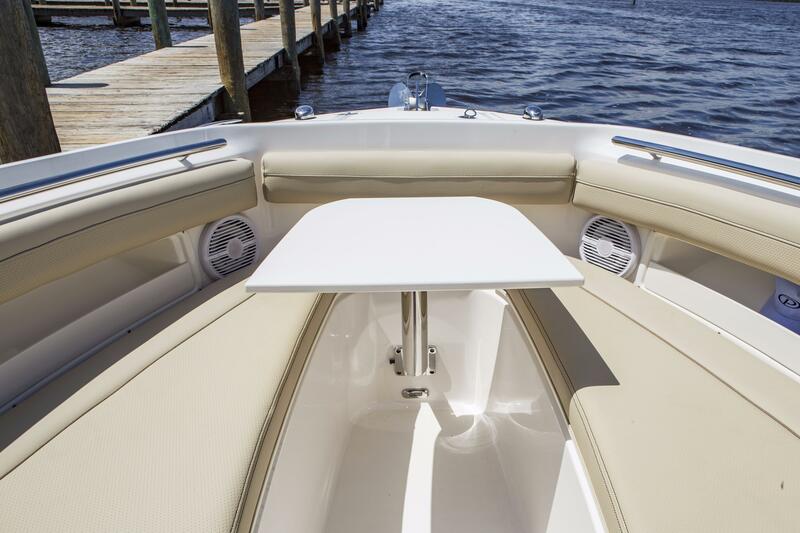 The value and affordability will be delivered through a fully appointed boat with popular options. 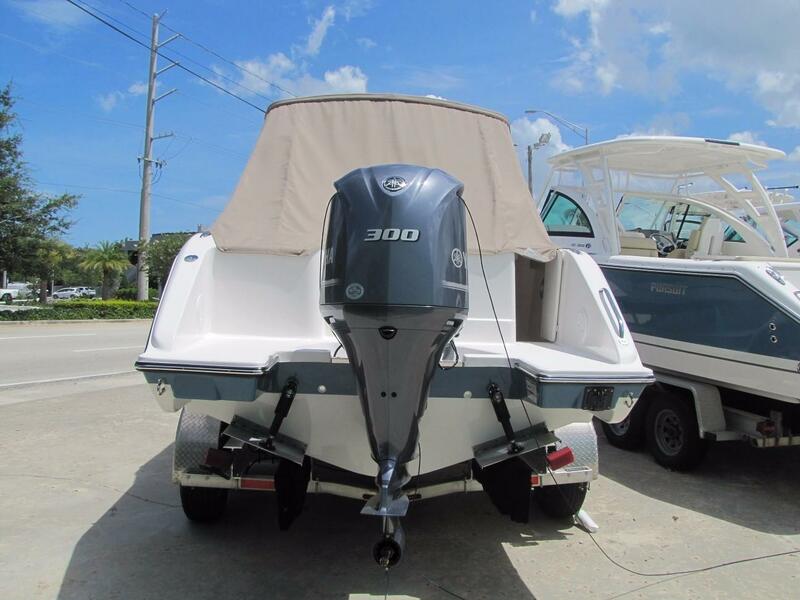 A single dependable Yamaha F300 delivers consistent performance for a variety of water sports from board sports to cruising and fishing. 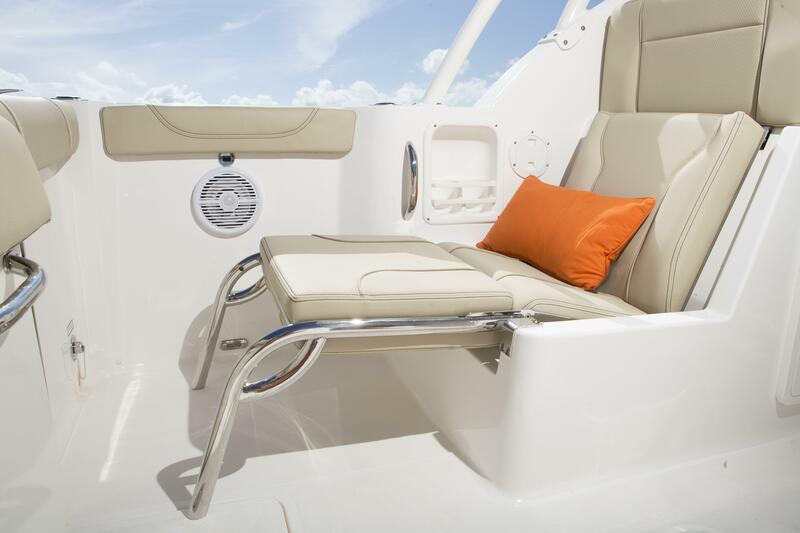 The Pursuit DC 235 is packed full of comfortable seating and storage with classic styling throughout. 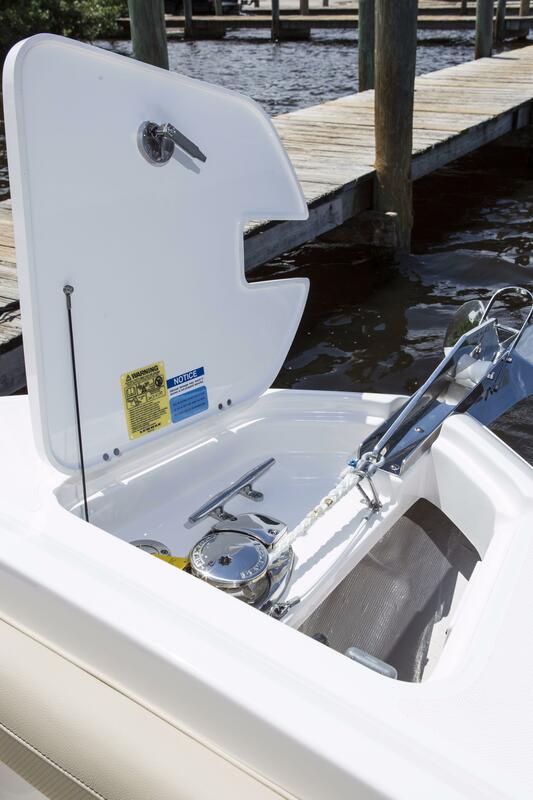 Notable standards include plush 3” cushions, standard portable marine head, cockpit bolsters and a neat assortment of fishing features. 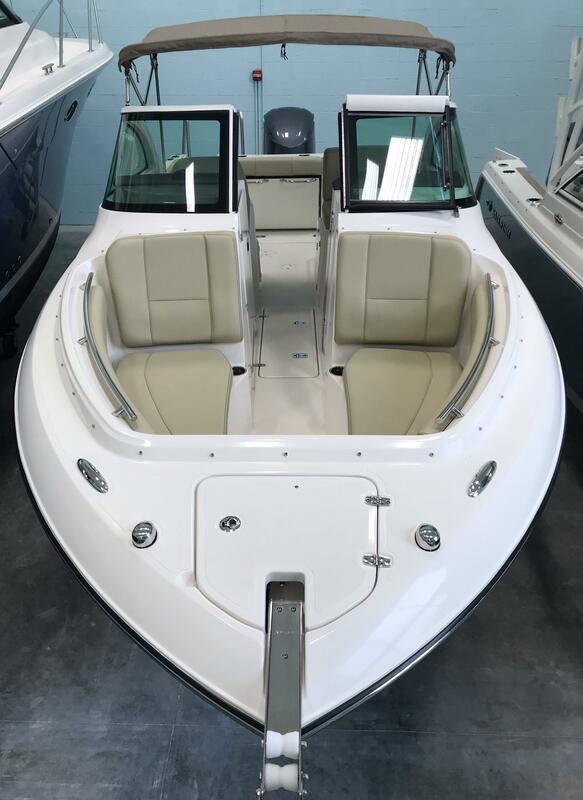 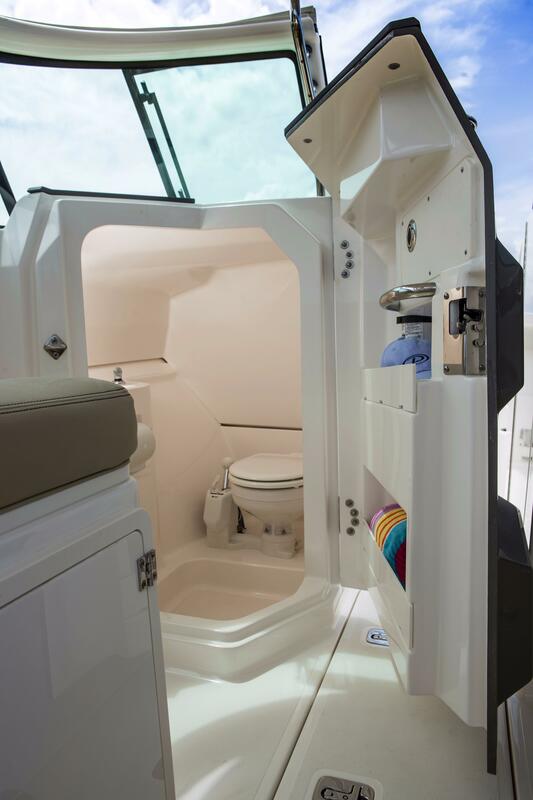 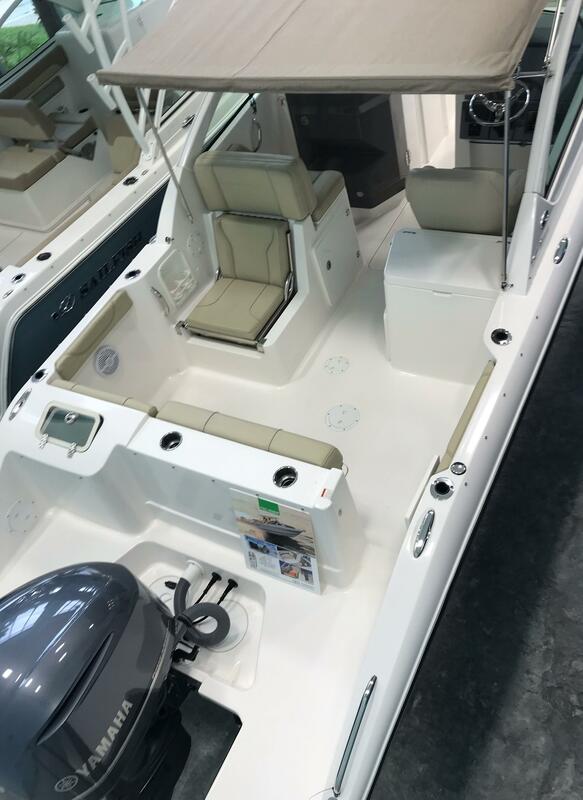 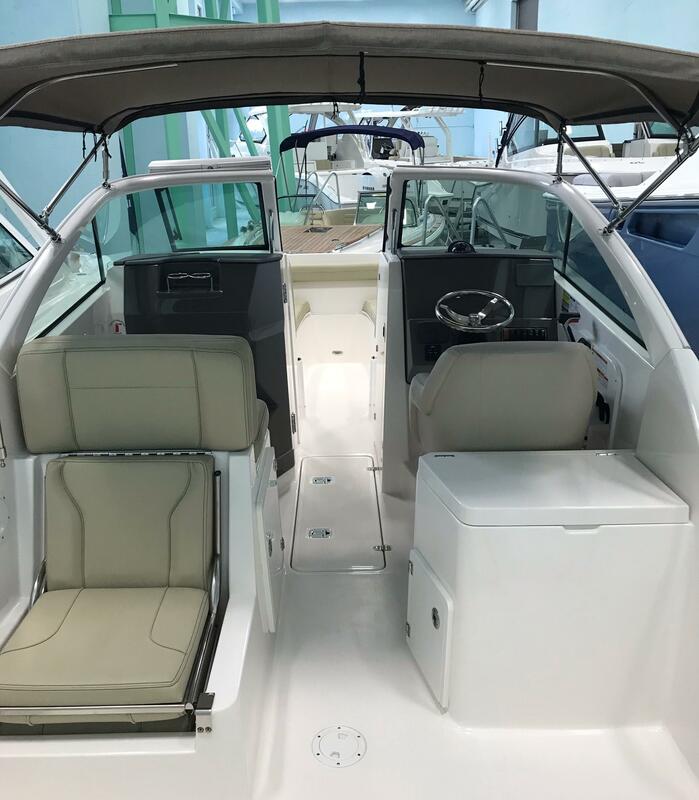 The value and affordability will be delivered through a fully appointed boat with limited options including Bimini Top w/ 3 sided enclosure, Bow Cover and Aft Slant Curtain. 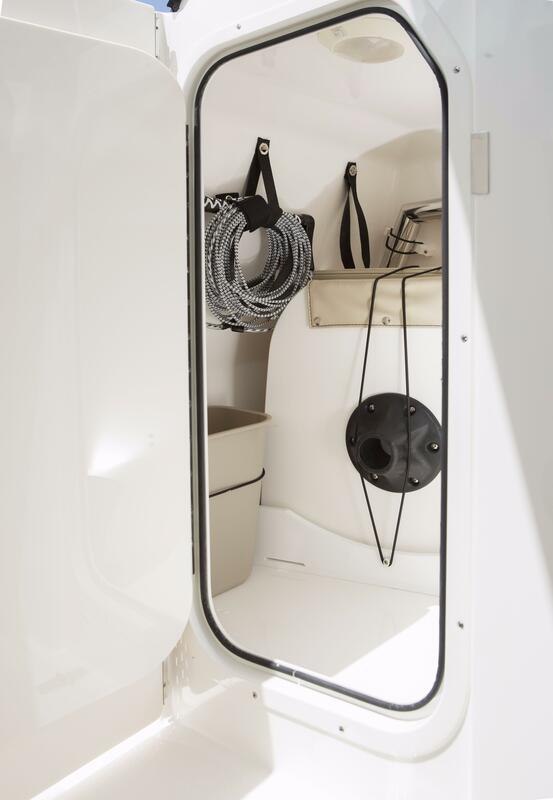 Molded fiberglass windshield frame with tempered glass windshield, 316L stainless steel caped side glass and a center walk through door.